2006 Photograph, Bumblebee-Mimic Robber Fly (Laphria thoracica, Order Diptera, Family Asilidae), Occoquan Bay NWR, Woodbridge, Virginia, © 2019. 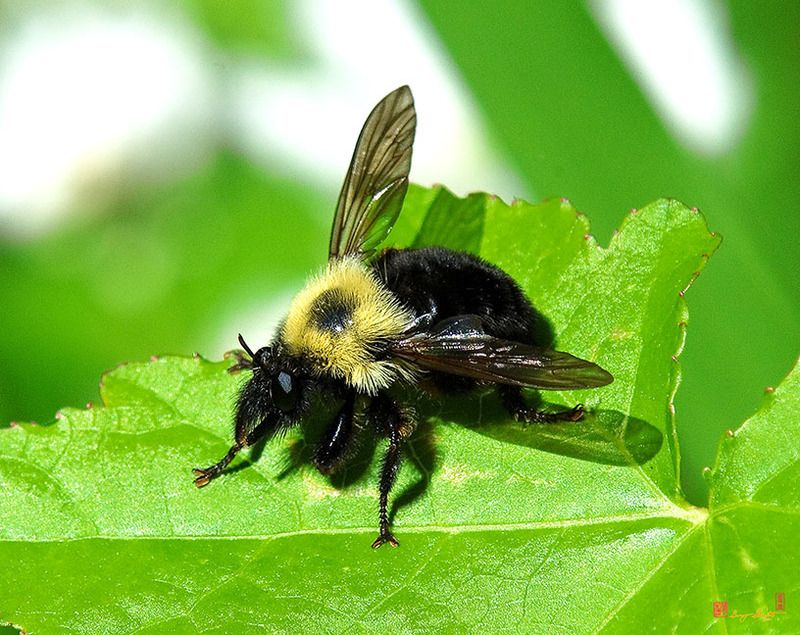 There are several species of Robber Flies that mimic bumblebees; kind of a wolf in bee's clothing. Unsuspecting insects ignore the "harmless" bee and then get pounced on. There may be some Mullerian-type Mimicry benefits to the Robber Fly in resembling a bumblebee, but the advantages of looking harmless to other insects is probably more important.